This is Karlheinz Essl's first CD release with electronic music, performed by himself on his computer-based instrument m@ze°2 and friends, produced between 1999 - 2001. All material has been recorded live without any overdubs. Produced and mastered by Karlheinz Essl except # 7 (Martin Siewert). The CD's data track contains a quicktime movie with video excerpts of a recent live performance. 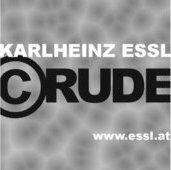 STILLE.MACHT is Essl's contribution to an interdisciplinary discourse which takes place monthly at the Künstlerhaus in Vienna. The series examines the change in Austrian society resulting from the right-wing freedom party's influence in the new coalition government formed on February 4, 2000. VOICE TRACKING occurred during Essl's first encounter with trombone player and vocalist Bertl Mütter. The meeting happened in a concert organized by the music magazine jazzzeit at Heinz Tesar's museum building for the Essl Collection. This particular evening was recorded and broadcast by the Austrian radio. While the radio intended the event to be a jazz concert, Essl and Mütter adopted the subtle task of delicately combining their current experimental inclinations with jazz and rock idioms that inform part of their own musical backgrounds. UNCHAINED was the result of a concert at the Essl Collection featuring Boris S. Hauf and Essl. The duo performed together on two Apple Powerbooks, using their own software instruments written in MAX/MSP. Inspired by the strong architecture of the museum, this performance developed in a direction completely unpredicted by the players. PRANK and GLOTTIS are the result of improvisations that occurred spontaneously during a series of lecture/performances in Bern, Zürich, and Basel, Switzerland. PRANK was recorded at the Kornhaus in Bern during a presentation entitled :digital brainstorming, curated by Dominik Landwehr of Migros Kulturprozent. GLOTTIS emerged from a demonstration given at Hyperwerk in Basel. REPLAY PLAYER is a solo concert performance at the 10th Florida Electro-Acoustic Music Festival at the University of Florida in Gainesville. The performance is a condensed version of a previous work commissioned by the ORF Kunstradio. It can be perceived as a journey through various sound worlds: an exploration of noise; which coagulates into syllables; then crystallizes into language; then metamorphoses into singing; and finally evolves, with intended irony, into our most dignified and authoritative music--recorded sound. CHAINED is a quicktime movie from the same concert where UNCHAINED was played. Here, the singer Margarete Jungen was joining in. Improvisation should be something that is taken for granted - and yet in the course of music's history it has been marginalized. If jazz had not put such heavy emphasis on spontaneity, improvised music might have disappeared entirely. 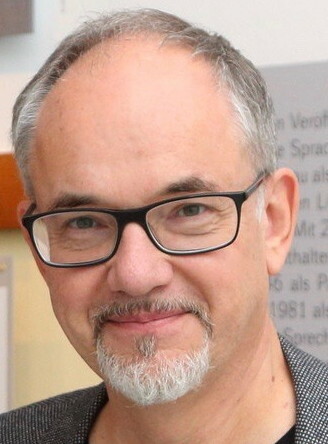 Initially Karlheinz Essl also learned the craft of composition very academically under Friedrich Cerha. It was first through electronics that he rediscovered the talent for improvisation honed in experimental jazz formations as a trained contrabassist. Interactive live electronics have opened up unsuspected possibilities for Essl's exploration of new improvisational terrain. m@ze°2, derived from the acronym for "Modular Algorithmic Zound Environment," is the name of his new (keyboard) instrument, an individually developed meta-instrument running on an Apple PowerBook and using his own software library written in MAX/MSP. It allows Essl to react spontaneously to fellow musicians or unfold a pyrotechnic spectrum of new sounds in solo performance. All of the cuts on ©RUDE were produced live, either in solo performances or together with selected musical collaborators like Bertl Mütter, who on VOICE TRACKING contributes not only a sliding trombone but also a howling voice; or Martin Siewert, whose corrosive guitar sounds are heard on AT THE EDGE; or Boris Hauf, who plays short plopping saxophone tones in the aforementioned piece and also proves himself to be a congenial PowerBook partner in UNCHAINED. Quite often these duets and trios, with Essl's contribution of a rich palette of sound structures, get caught up in movements that take on a spiraling form. Visual art by Markus Bless. Cover notes by Reinhard Kager (translation by Chris Barber) and Karlheinz Essl. Many thanks to Mark Applebaum, Christian Sodl, Ewald Baringer and Markus Bless for their indispensable contributions.